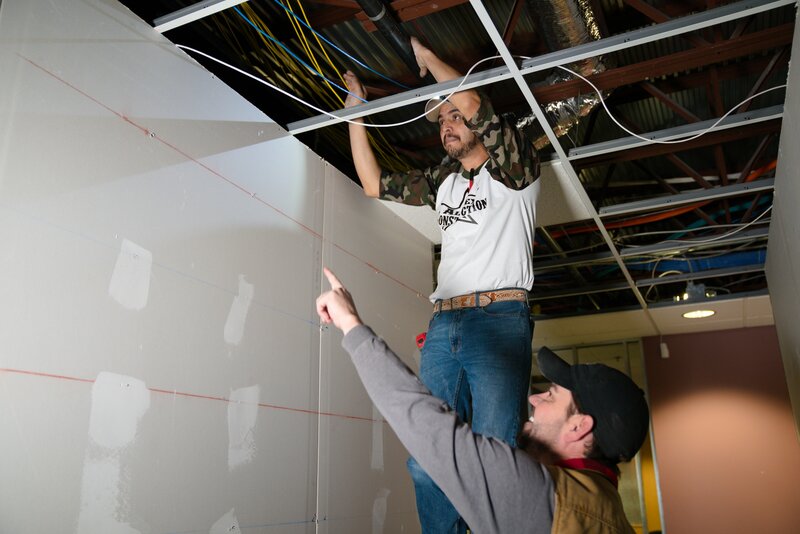 From layout to 30-foot demising walls we have framed them all. All aspects of the framing process including fire caulk to level 5 finishes we do it well. AllTex Construction installs all types of flooring. Including LVT, Carpet tiles, Hardwoods, carpet, and tile. for the last 3 years we have installed over 500,000 sqft of flooring. Painting is the most popular wall finishes however we also do Wall paper, Venitian Plaster, custom accent walls, sound absorption, textiles, and stains. We are absessed with wall finishes so our clients look great. From hanging sheetrock to finishing the with tape bed and paint we take care of all phases of the construction process. 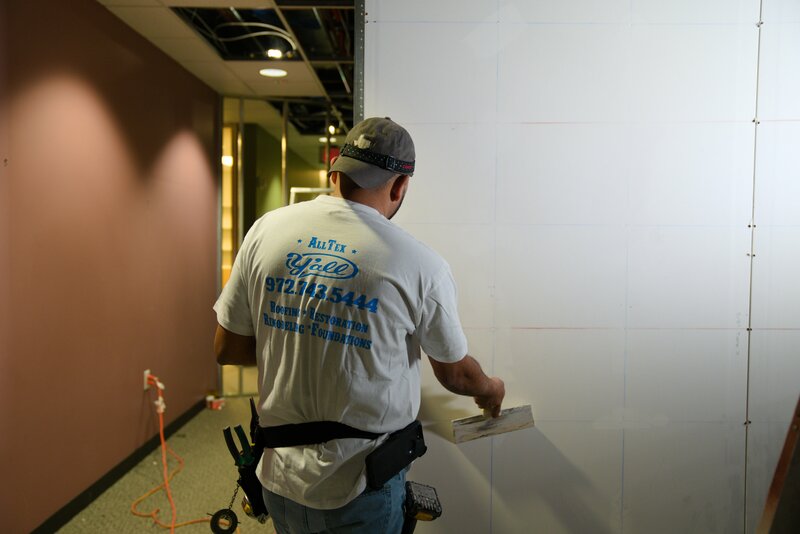 We make sure your walls are straight and look good so you can go about your business.